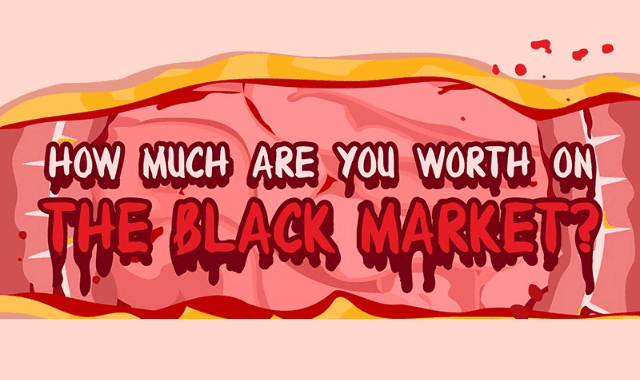 How Much Are You Worth On The Black Market? #Infographic ~ Visualistan '+g+"
When Selling Your Kidney, liver, teeth, urine etc how much should you ask for. Interested in learning what over 28 body parts and functions are worth on the black market? Check out the infographic below.